The Israeli regime is a paradox. Considered a democracy, it has no recognized borders and controls the majority of Palestinians by military rule, while the resistance of non-citizen Palestinians exerts major influence over politics and policies. Drawing on detailed academic research and a broad knowledge of Israeli politics and the Israeli-Palestinian conflict, this book narrates and analyzes the political developments of the Israeli-Palestinian peace process and the conflict with Hezbollah and Hamas, explaining the dangers to future negotiations and how hopes for a settlement have been dashed by the ongoing violence. 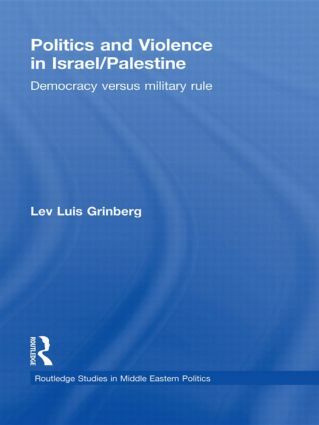 The author explores the internal Israel and Palestinian politics, showing how they influence the conflict and explaining the central role of military organizations in shaping the relations towards the other nation. With particular relevance to current events, he analyzes the Unilateral Disengagement from Gaza and the second Lebanon War, which account for the deterioration into the present violence and political crisis, explaining the need for international mediation in order to reach a peace agreement and suggesting a new innovative model for future Israeli-Palestinian relations.